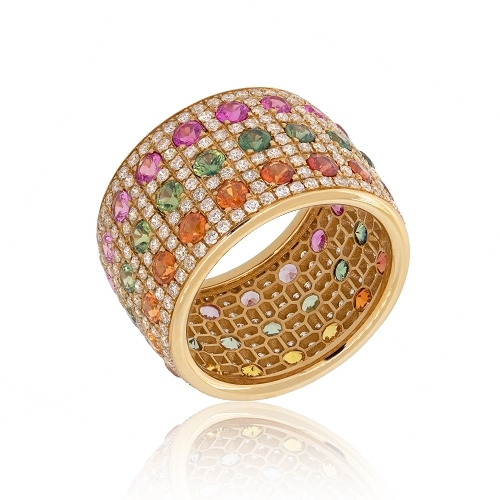 Three rows of colored sapphires surround by diamonds set in 18k rose gold. Diamonds approx. 1.02ct. Ring size 7.